Elliott, what are your initial first impressions of the Bridging Divides with EY sessions? It was great to see the energy of the kids shift as they moved through the drills and activities. While the students had initial reservations, throughout the session these quickly dissipated as the kids from different schools created bonds and started working together. We understand this partnership was initiated and sponsored by the partners of EY. What was the motivation behind this? Bringing together communities, through sports such as rugby, is a way to build a better working world by breaking down barriers, building trust and friendship, and harnessing collaboration and community harmony. What challenges have you seen that need to be worked on in the coming sessions? What #BetterQuestions should we be asking? The programme has had a great launch and I believe that success will come from prolonged activity and support of the schools – it cannot be a one off. So often you hear stories of young people finding support and direction through their rugby involvement as it teaches so many lessons that are applicable in sport and life. For me, the physical benefits are one aspect but also the mental benefits that come from the community and team bonds that are formed are also important. The question we should be asking is why is sport not seen as an essential undertaking for all – to improve health and wellbeing? Where do you see this programme going in the future? I feel it needs to continue with the existing schools to build momentum and then look to expand to other related schools to build on the early success. Why do you think this is such an important social issue to address at this time? Bridging Divides helps to foster a more harmonized and connected community within both Hong Kong, and other cities across the Greater Bay Area and Greater China. We all have different cultures and beliefs, and to integrate both economically and socially, we need to encourage younger generations to embrace diversity and inclusiveness. 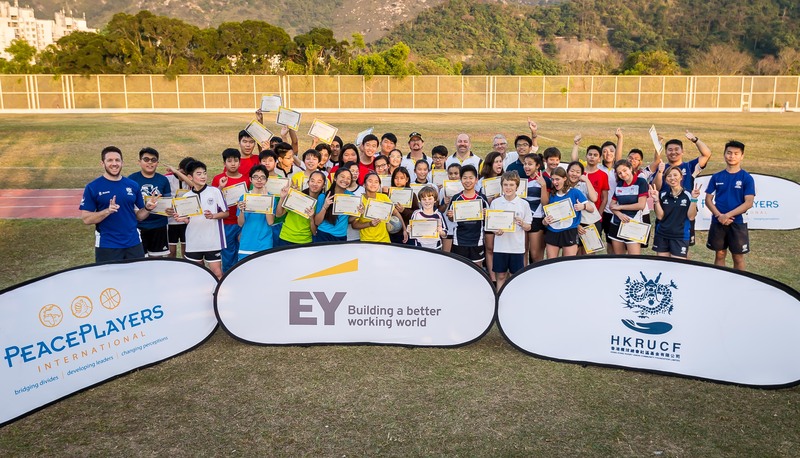 At the HKRU we see sport as a medium for social change, and truly believe that rugby is ‘a game for all’. Was this message prevalent throughout the day? The HKRU is currently working with the Guangdong Sports Bureau on some collaborative projects in the Greater Bay Area. How important do you think initiatives such as this are for the future of Hong Kong as a whole? 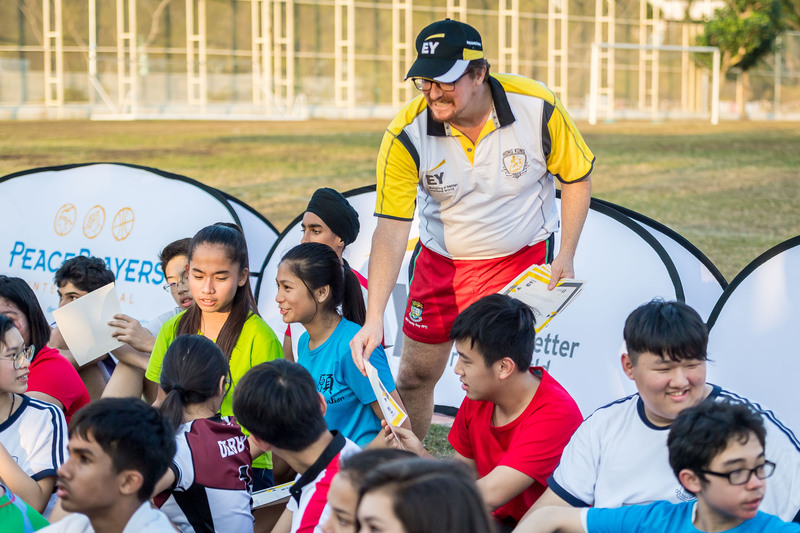 Focusing on the importance of diversity and inclusiveness, this programme create a platform for students to interact with others outside of their existing friendship circles, experiencing different cultures, backgrounds, and religions through sport. This allows them to learn how to appreciate different opinions and collaborate in teams. To grow this programme in the GBA will encourage that interaction, exchange of ideas and develop friendships between younger generations in Hong Kong and mainland China. Collaborating with more GBA schools is definitely the way to go. Bridging Divides could extend this to involve more students/schools from across Hong Kong and the GBA in off season, such as a summer camp for students from non-participating schools.